In One Line and Close. Permutations as Linear Orders. In One Line and Anywhere. Permutations as Linear Orders. Inversions. In Many Circles. Permutations as Products of Cycles. In Any Way but This. Pattern Avoidance. The Basics. In This Way but Nicely. Pattern Avoidance. Follow-Up. Mean and Insensitive. Random Permutations. Permutations versus Everything Else. Algebraic Combinatorics of Permutations. Get Them All. Algorithms and Permutations. How Did We Get Here? Permutations as Genome Rearrangements. Exercises, Problems, and Problem Solutions appear at the end of each chapter. Miklós Bóna is a professor of mathematics at the University of Florida, where he is a member of the Academy of Distinguished Teaching Scholars. Dr. Bóna is an editor-in-chief of the Electronic Journal of Combinatorics. He has authored over 50 research articles and three combinatorics textbooks and has guided the research efforts of numerous undergraduate and graduate students in combinatorics. He earned a Ph.D. in mathematics from MIT. The extended new edition of Bóna’s textbook will continue to provide a wealth of information on the combinatorial facet of permutations, to both students and researchers in the subject. There is a new chapter nine, ‘devoted to sorting algorithms whose original motivation comes from molecular biology.’ Chapters 1, 3, 4, and 6 have been ‘significantly changed and expanded’ and all chapters have new exercises and problems, some of which reflect recent results. This is an excellent book on an important subject. How is the newcomer to this subject able to make sense of and sort out these bewildering possibilities? Until now it was necessary to consult a myriad of sources, from textbooks to journal articles, in order to grasp the whole picture. 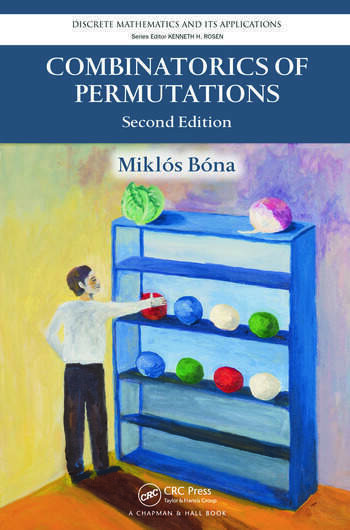 Now, however, Miklós Bóna has provided us with a comprehensive, engaging, and eminently readable introduction to all aspects of the combinatorics of permutations. The chapter on pattern avoidance is especially timely and gives the first systematic treatment of this fascinating and active area of research. This book can be utilized at a variety of levels, from random samplings of the treasures therein to a comprehensive attempt to master all the material and solve all the exercises. In whatever direction the reader’s tastes lead, thorough enjoyment and appreciation of a beautiful area of combinatorics are certain to ensue. One can easily imagine gems from this book forming the basis of a Martin Gardner-type column … the fascinating chapters here on pattern avoidance, particularly the formulation and proof of the Stanley-Wilf and Furedi-Hajnal conjectures, make this book essential … The author shows himself the master expositor, always efficient while never terse, ever the clairvoyant and generous anticipator of misreadings that might trip readers. Summing Up: Essential. Throughout the book, there are frequent references to the excellent bibliography of more than two hundred research articles and books. It is clear that the author finds his topic to be full of ‘serious fun.’ This enthusiasm is conveyed in the conversational and engaging style of the writing … This book was written to be used in a graduate-level topics course. For that purpose it is ideally suited … Experienced researchers in combinatorics will find the book useful as a guide to the literature on permutations. For graduate students with advanced interests in any field of combinatorics, the faculty who work with these students, or the libraries that support them, this book is an excellent choice. This advanced-level textbook grew out of a graduate combinatorics topics class. It serves that role quite well. … Applications are nicely sprinkled throughout the text. … a very extensive list of references with 208 entries … will be attractive to researchers in the area. This excellent text would serve a graduate seminar very well, but could also be used by advanced undergraduates who already have a background in combinatorics. The literature on permutations is as extensive as permutations are manifold … What was missing until now was a comprehensive, up-to-date treatment of all aspects of the combinatorics of permutations … This is the first book which gives a systematic introduction to this fascinating and active area of research … All the subjects are presented in a very pleasant way: developments are always well motivated, explanations are transparent and illustrated by numerous examples. At the end of each chapter the reader finds a list of exercises, with detailed solutions … [containing] references [that] … are excellent starting points for further research. 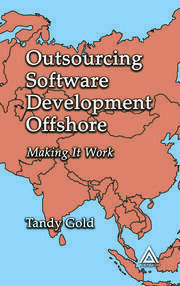 We found the author’s explanations very clear, and there is an abundance of useful examples and helpful figures . . . 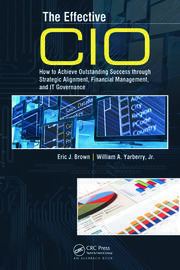 There is a rich bibliography for those seeking more information or full proofs of cited results. [This book] was written by the author with love and enthusiasm for the subject and is a pleasure to read. Undergraduate and graduate students in combinatorics as well as researchers will find in it many interesting results and inspiring questions.